Stok Kangri Peak in Leh Ladakh is most famous trekking peak and this trek offers multitude of adventures along the trekking route to Base camp and towering Stok Kangri height at 6153 meters high from mean sea level. Trek starts from Stok village where centuries old Stok Palace still stands strong. Leh Ladakh Tour is a must for any adventure enthusiast. Stok Kangri Trek is an ideal challenging trek for both experienced as well first time trekkers to Himalayas but they need to prepare well because the climb is a challenging trek because of its altitude. 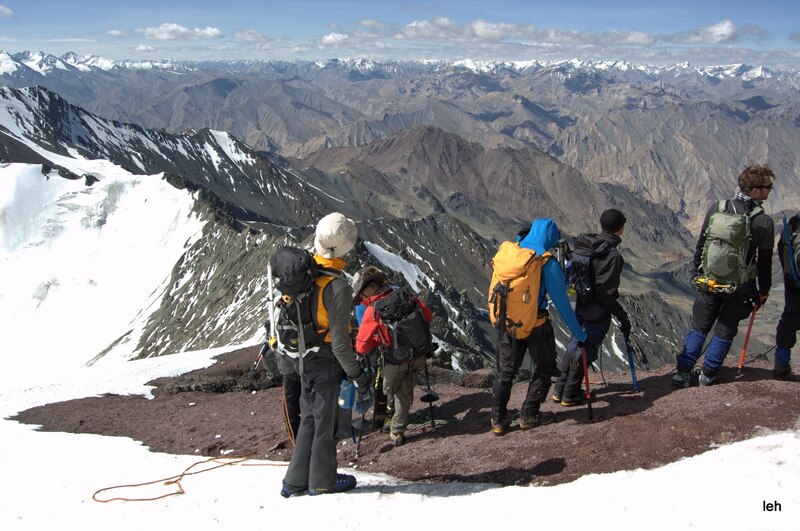 The Stok Kangri Trekking experience entails ice climbing, crampon, glacier trekking, Ice climbing and traversing the thin trekking trail to summit over the sharp ridge. Combine your Stok Expedition with a short tour to Zanskar Valley, Pangong Lake and Nubra Valley. When I was doing my Basic Mountaineering Course in HMI Darjeeling we had one instructor by the name Mr. Bhutia. He was an extremely talented mountaineer and a very good teacher. During our training he used to keep repeating the phrase ” Everything is mind”. Which meant that we could do anything if we could conquer our minds. This is probably as true for life as it is for mountaineering and high altitude trekking. This pic which I came across reminds of that phrase. During my first Expedition in Leh Ladakh those words inspired me a lot. Mind over matter in now a truism I try to live by. Every year many trekkers from world come for this expedition from June to October few only reach up to the summit. Trekking or Mountaineering is more of mental game rather then physical. Below picture is an example when I reached on the summit of stok for the first time in 2011 there was fellow trekker (In Red Jacket) who was on the summit and he was an amputee and he reached the summit of Stok on his own with his guide. The arc-shaped Indian Himalayas extend along the entire northern boundary of India from the state of Jammu & Kashmir in west to Arunachal Pradesh in the east. 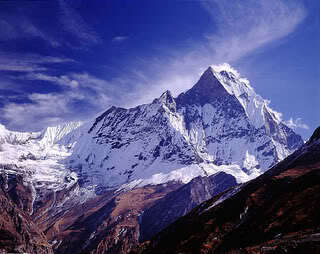 The term “Himalaya” from Sanskrit meaning the “The Abode of Snow”. For centuries Indians have been fascinated by these mountains for pilgrimage in early days now for trekking and other adventure sports. Kanchenjunga gets its name from the the Bhutia and Tibetan languages which means “The Five Treasures of Snows” as it contains five peaks. Kanchenjunga is the third highest peak in the Himalayas and the world and the highest in India. Kanchenjunga stands tall with an elevation of 8,586 meters (28,169 ft). 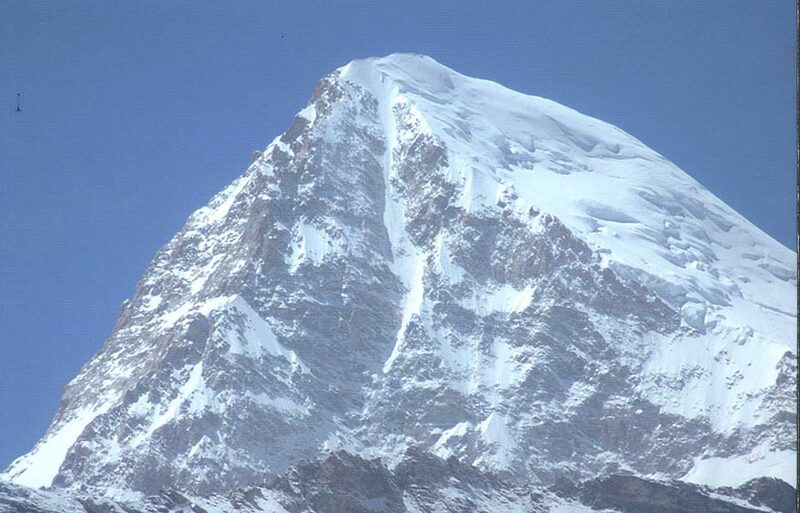 Nanda devi is the second highest mountain peak in the Himalayas in India. This is the highest peak (entirely) in the country, as Kanchenjunga lies on the border areas of India and Nepal. It was the highest known mountain in the world until 1808 when western surveyors discovered Dhaulagiri. The mountain stands tall at an elevation of 7824 meters (25663 ft). 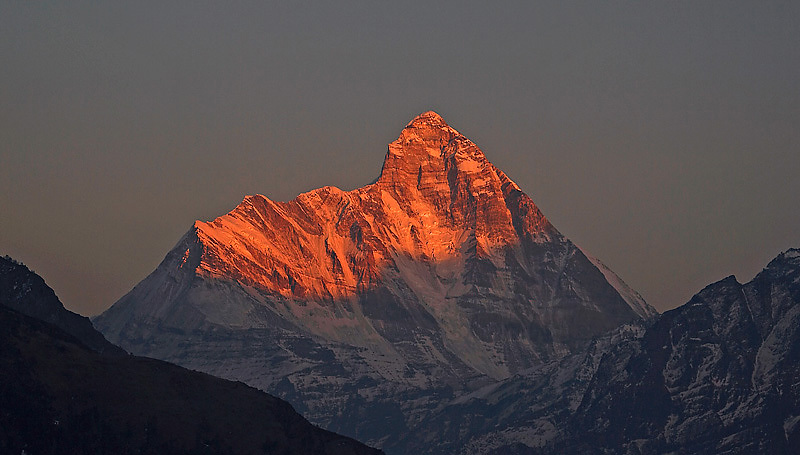 The Nanda devi peak is the part of Garhwal Himalayas and lies in the state of Uttrakhand. Climbing is not allowed on Nanda Devi as it is declared as holy peak. During my discussion with Mr. Kushang Sherpa (Climbed Everest from all side including Kangshung face and other 8 thousanders) he said that Nanda Devi is the toughest to climb. A fabulous trek that takes you into the Nanda Devi Sanctuary is the Kuari Pass Trek. 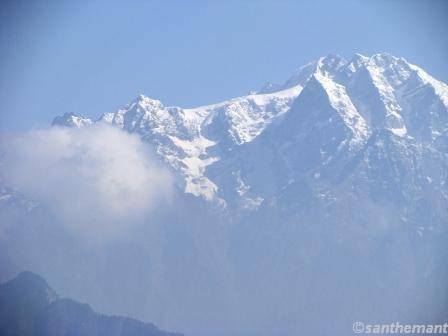 Kamet is the second highest mountain peak in the Himalayas of Garhwal. It lies in the Chamboli District of Uttrakhand. It is the third highest peak in India (according to India however, the rank is much lower as it includes in its list of mountains all those in Pakistan occupied Kashmir). Northeast of Badrinath is another impressive cluster of mountain peaks in the Himalayas. The mountains rise almost on the Indo-Tibetan border with Mana and Kamet as the principal peaks. Mana itself marks the eastern extremity of the Zanskar range. It lies between the pass of the same name and the Niti Pass.